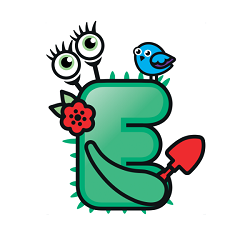 Come and explore the wonderful world of EcoTales! Listen to the EcoTales cast bring real environmental problems to life. ‘Etta Earth’ is delighted with her best ever crop of strawberries. Follow Etta's adventures with Blue, Spike and Trixie as she tries to meet the growing demands of the people of Plumpton who just can't go without her delicious strawberries. Etta soon discovers the perils of messing with Mother Nature! ‘Cycles’ stumbles across an unexpected visitor in his garden in the shape of 'Willow Water'. Together, they set off on an adventure that takes them further than 'Cycles' had ever imagined! He discovers the magical shape shifting powers of 'Willow', visits the highest mountain on earth and sees for himself the truly fascinating, and sometimes scary, power of nature. Delve into the mind of the mischievous 'Polly Plastic' and follow her latest escapade as she discovers just how damaging plastic packaging can be for Ozzy Ocean and his marine friends. ‘Kyra Knowledge’ teams up with ‘Professor Flora’ in the Amazon rainforest to help protect the Waorani people’s sacred Peach Palm's from Gregor Greed. Together, Kyra and Professor Flora make a fascinating discovery that they hope will make Gregor change his plans to destroy the Waorani’s home in his hunt for oil and desire to get rich quick. The Seeds For Bees Song! Sing along with Queeny, Bod and their bee friends in this catchy little number, all about the importance of planting Seeds for Bees! We are EcoTales! Through our stories we share our nature knowledge, inspiring future generations to love and protect our magical wild world. Together we can save nature! Want to know more? Message us for a chat! © Copyright 2019 EcoTales. All Rights Reserved.